Live from Sony's 'Ultimate 3D Experience' launch, London | What Hi-Fi? • Upcoming 3D cinema releases for 2011 and 2012 include The Green Hornet, Priest, the next Spider-Man film, Resident Evil: Afterlife and Men In Black III. 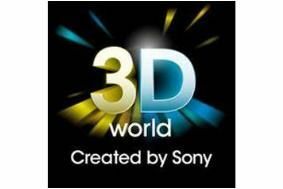 • "Making 3D is easy, making good 3D is hard," says Sony. • We're now being shown a demo of Sony's prototype 3D projector. Few details, but release is planned later this year. What we do know is that it will be 1080p capable and use activer shutter 3D glasses.